Here we present ProtrWeb, a web server based on our R package protr, dedicated to compute such structural and physicochemical descriptors. Currently, ProtrWeb offers twelve types of the commonly used descriptors presented in the protr package. (submitted) Nan Xiao, Min-Feng Zhu, Qing-Song Xu and Dong-Sheng Cao. (2014). protr/ProtrWeb: R package and web server for generating various numerical representation schemes of protein sequence. ProtrWeb made by Nan Xiao, Dong-Sheng Cao and Qing-Song Xu. Backend computation is powered by our R package protr. 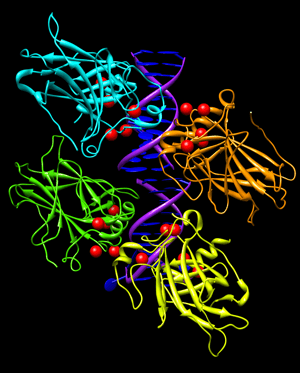 Copyright © 2013 - 2014 Computational Biology & Drug Design Group. All rights reserved. ProtrWeb has been tested under IE9, IE10, Google Chrome, Mozilla Firefox and Apple Safari.